This beautiful basket is filled with an assortment of four different creamy, natural cheeses alongside two different flavors of dry salami. Truffle Dry Salami, Three Pepper Dry Salami, Apple Smoked Cheddar, Triple Crème, 3-Year Aged Cheddar, and Smoked Pepper Jack all pair perfectly together for many savory combinations. Cranberry Pistachio Crisps and cheese straws add texture and crunch. 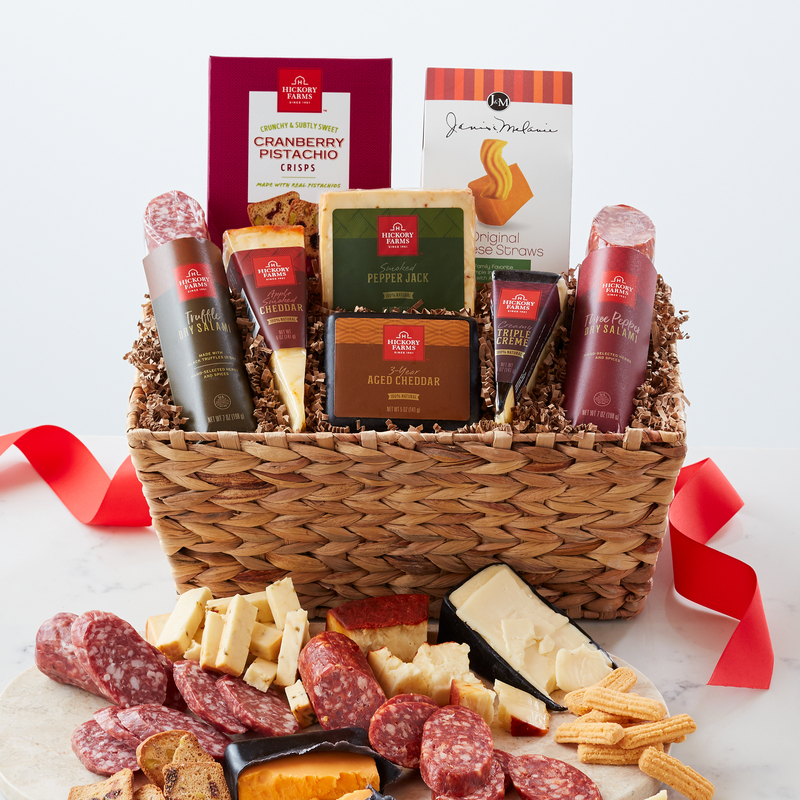 This is the perfect gift for the person on your list who loves a delicious charcuterie spread!